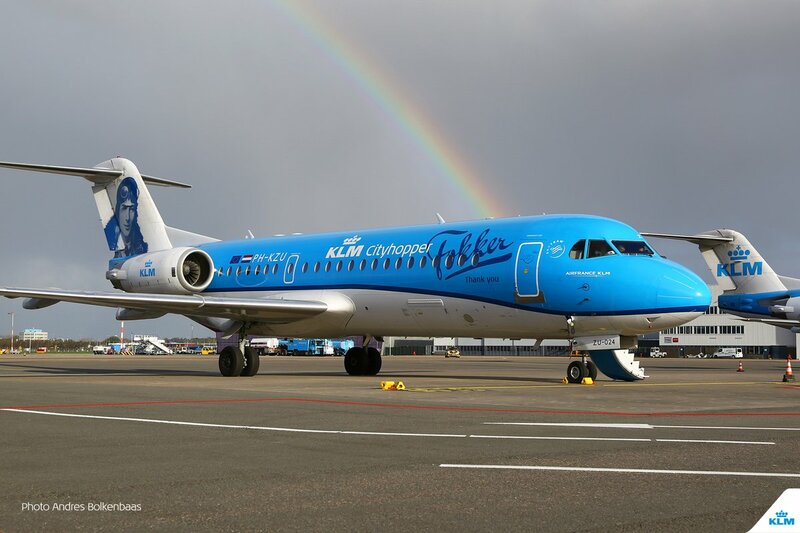 Last weekend was a sad time for aviation enthusiasts and plane spotters alike when the Durch airline KLM operated the final six commercial flights with the airlines Fokker 70 fleet. The very last Fokker flight took off from London, which was specially chosen as KLM deployed its first two Fokker II aircraft on 30th September 1920. Those were KLM’s very first passenger aircraft planes with a capacity of 5 passenger seats and flew to London. 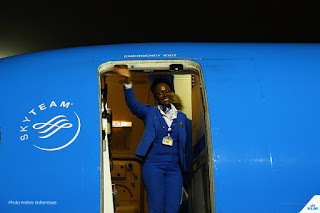 Therefore, it was perhaps most fitting that KLM's final Fokker departed from the same city, London and thus completing a full circle, landing at Schiphol Airport in Amsterdam at 20.30 local time. The aircraft was decked out with a special farewell livery, featuring a classic portrait of Anthony Fokker. 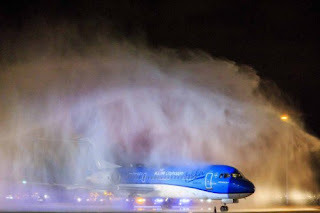 The flight got a warm welcome at Schiphol, including a water cannon salute from the airport's fire service followed by a special celebration for the Cityhopper staff. There were, its fair to say, many moist eyes at the end of this eventful day. A sentiment echoed by numerous plane spotters, aviation enthusiasts and industry commentators who mourned the passing out of scheduled services for the Fokker 70's via social media. 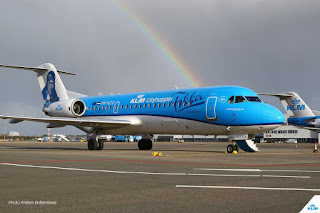 The Fokker 70 is such a striking and unique aircraft complete with its characteristic wing profile and typical T-shaped tail and as evidence of their strong build and reliable operation, the aircraft will continue to fly. KLM confirmed it has already sold all its Fokkers to airlines in Asia, Africa and South America. 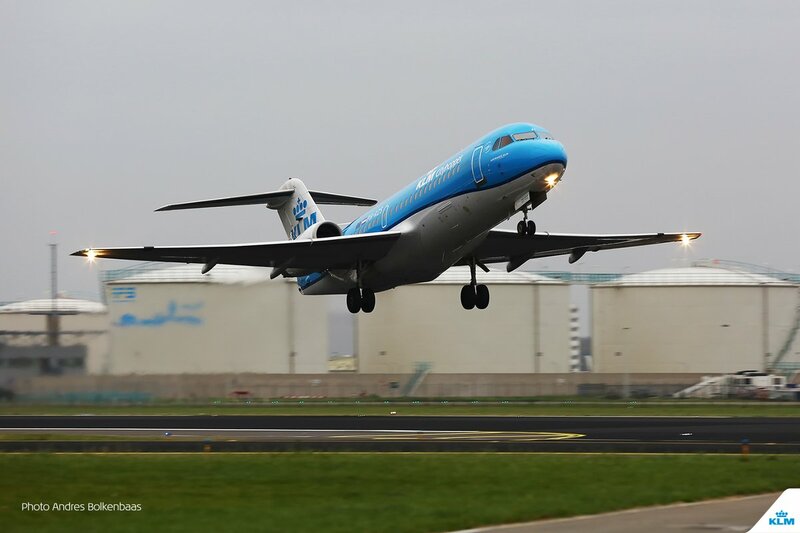 To mark the special event and in celebration of the Fokker 70s service the Dutch airline has released a special Farewell Fokker 70 book entitled “Dutch at Heart”. This limited and beautifully illustrated book is available via www.fokker-70.nl. 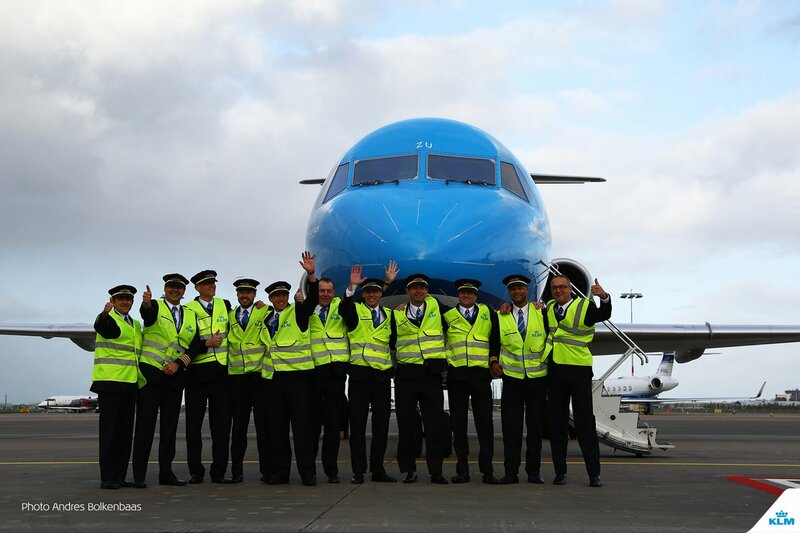 On the morning of Sunday, 29th October, a special KLM-Fokker monument was unveiled at Schiphol-Oost. 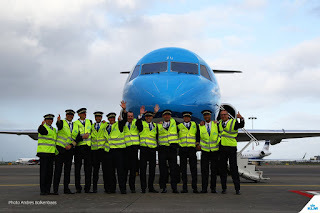 In the presence of guests and journalists, the monument was unveiled by KLM President & CEO Pieter Elbers, former KLM Cityhopper Director Boet Kreiken and Fokker Vice President Frans van der Pol.